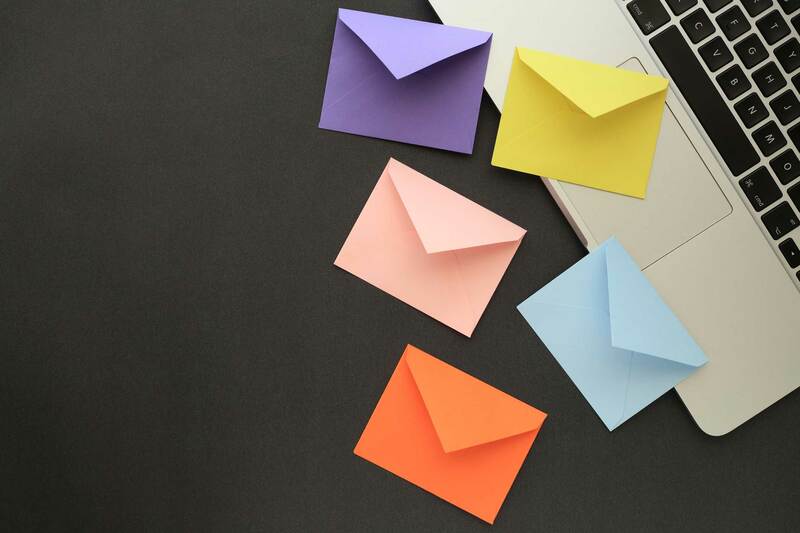 With so much content being published online every day, it is harder than ever to capture the attention of online readers. You must be able to produce relevant, interesting copy that can be easily read—or more likely, skimmed. And you’re up against some stiff competition—it’s just as easy to read your article as it is to watch cat videos on YouTube. This is why writing effectively for the web is so important. 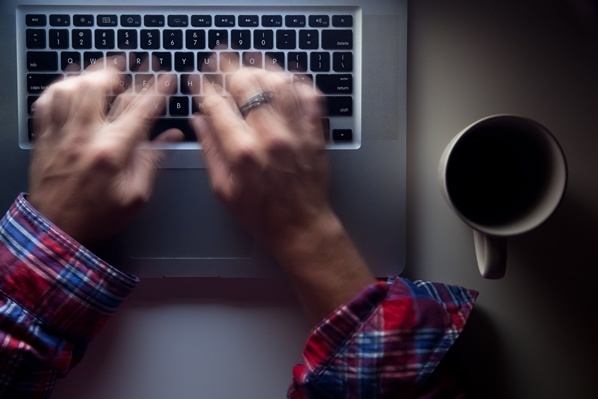 To help you compete and grab readers’ attention in a world of endless content, here are 50 trusted writing tips for the web. 1. Know what you wish to achieve with your content. 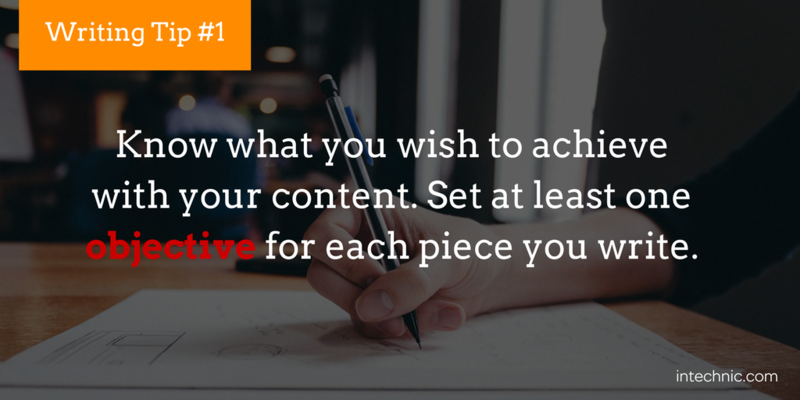 Set at least one objective for each piece you write. 2. Know exactly who you are writing content for- whether you refer to them as readers, visitors, or potential customers. 3. Know what your readers want and which of their problems you can help solve with your content. 4. 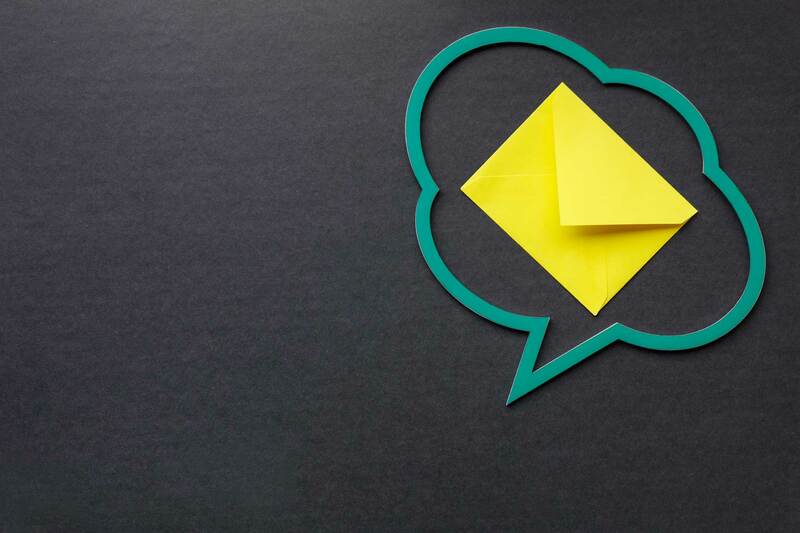 Plan to engage your readers by providing content for each stage of their customer journey. 5. Create pieces of content that promote action from your readers. 6. Answer readers' questions throughout your content. Anticipate their needs and provide solutions. 7. Don't leave your readers with more questions. Have the conversation they came to have. 8. Speak from experience, not speculation, to instill trust. 9. 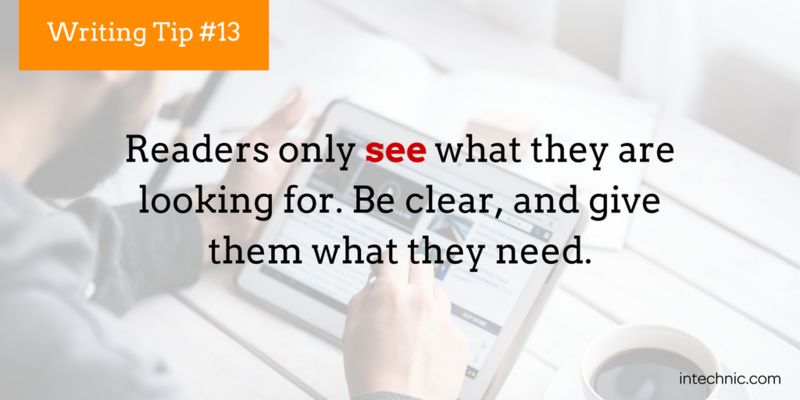 Include firsthand experience and results in your content to make your expertise clear. 10. 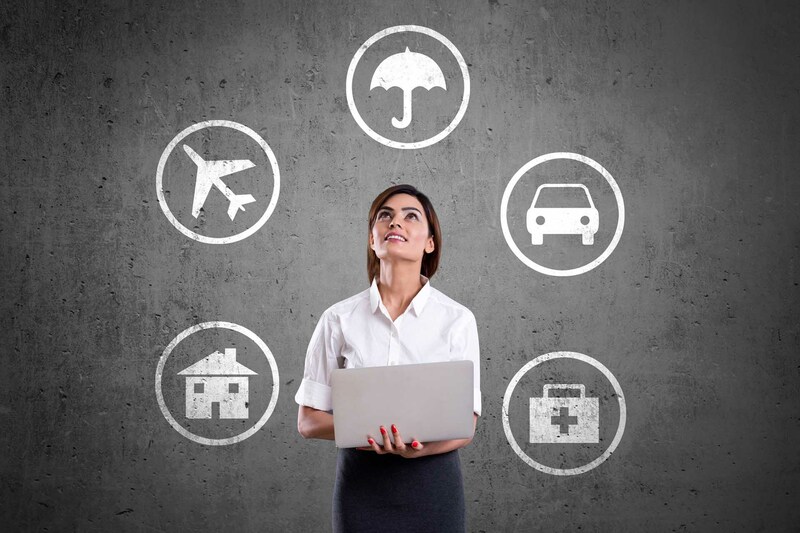 Establish credibility by substantiating research with credible sources. Include links or citations. 11. Always include examples: first hand experience, research, statistics, etc. 12. Propose helpful solutions without pitching anything. 13. Readers only see what they are looking for. Be clear, and give them what they need. 14. 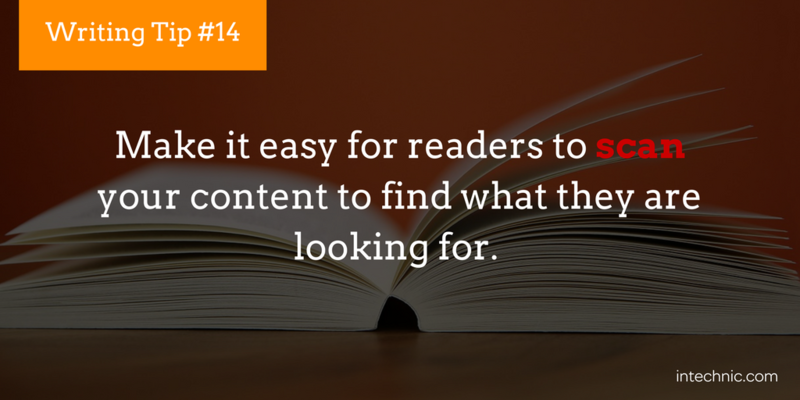 Make it easy for readers to scan your content to find what they are looking for. 15. Illustrate content where possible and support your messages with images. 16. Ensure your images do not look like ads. 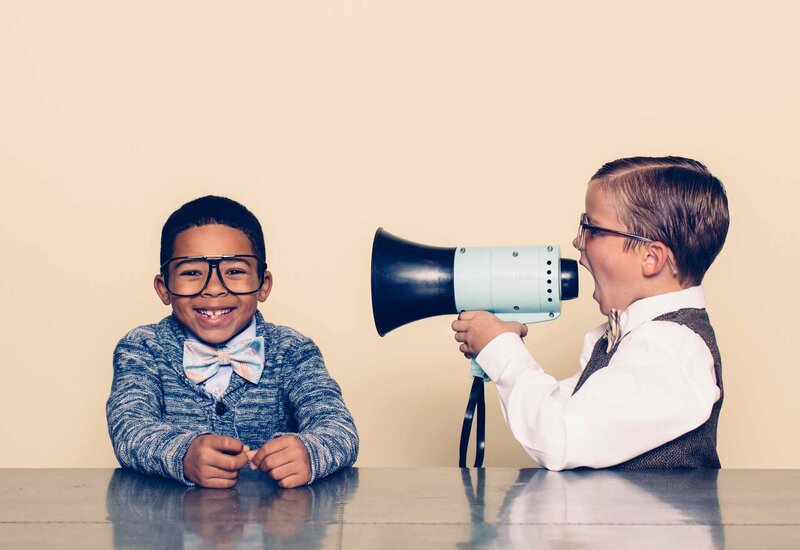 You don't want to ostracize your visitors or readers. 17. Too much noise takes away from the usefulness of your content, so use multimedia thoughtfully. 18. 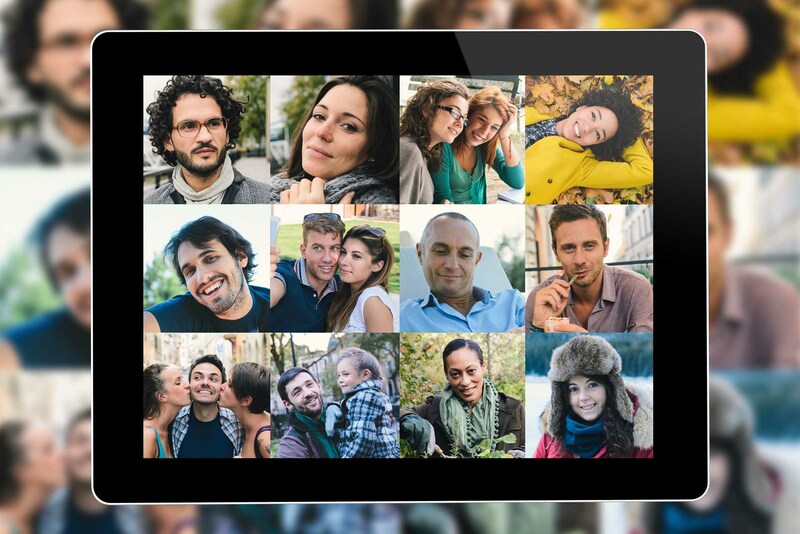 Separate your content into easily digestible "chunks" using images or bullet points to break up heavy text. 19. Bulleted lists work well for listing options or items. 20. Numbered lists work well for listing step-by-step instructions. 21. Tables work well to illustrate if-then statements, compare numbers, or answer questions. 22. Write in concise sections with only one main idea per section. 23. 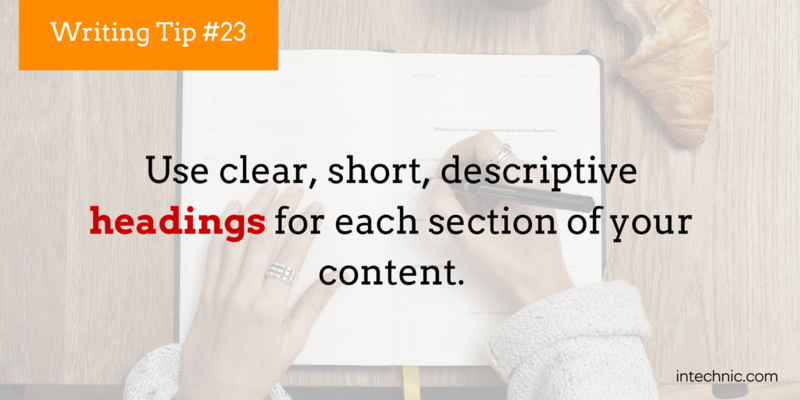 Use clear, short, descriptive headings for each section of your content. 24. Use section headings as an outline for your content so that readers can easily find the information they need. 25. Parallel the headings in your content to one another, to stay consistent. 26. Use different levels of headings. The more important something is, the more prominent it should be. 27. Use content headings to answer questions and introduce key words or messages. 28. 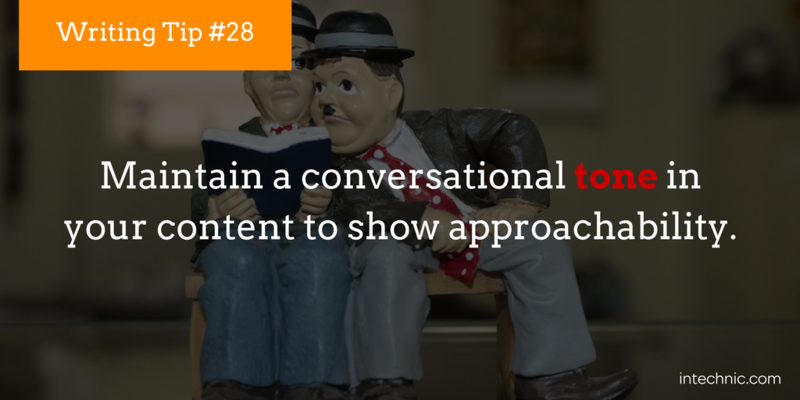 Maintain a conversational tone in your content to show approachability. 29. Keep your content positive but avoid unnecessary "happy talk". 30. Place important messages near the top of your article or webpage and make them stand out. 31. Start with key messages and delve deeper with each additional thought. 32. Match the tone and personality of your content with your topic or subject and audience. 33. Write usable, manageable, concise pieces of content- not full manuals or handbooks. 34. Make your content scannable or skimmable, giving out only necessary information. 35. Where possible, include calls to action (CTAs) or next steps with each piece of content. 36. Use "you" rather than "he" or "she" to keep content user-centric and gender-neutral. 37. Be consistent in your use of "I", "you", and "we" to avoid confusing your reader. 38. Use "I" for content written from an expert and "we" for content from a group or agency. 39. Write in active voice rather than passive. Ex: We built the website vs The website was built by us. 40. Use MS Word scales like Flesch Reading Ease and Flesch-Kincaid Reading Level to measure readability. 41. 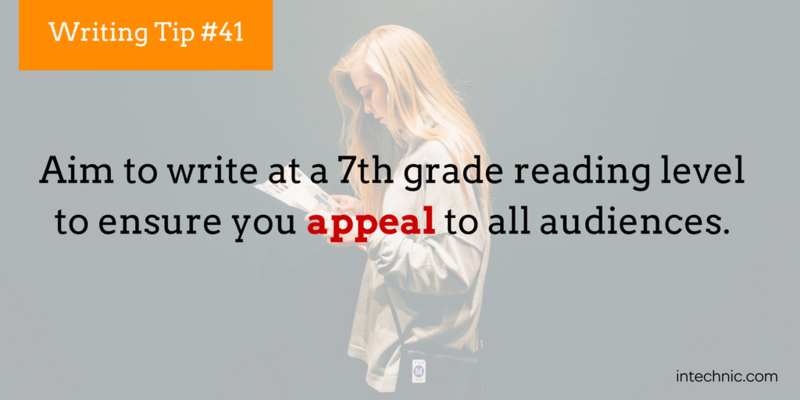 Aim to write at a 7th grade reading level to ensure you appeal to all audiences. 42. Do not over-complicate your content with jargon or acronyms that may not be universally understood. 43. 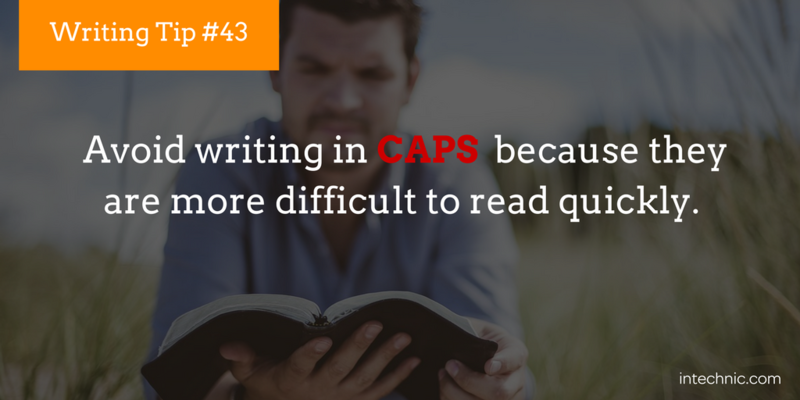 Avoid writing in caps because they are more difficult to read quickly. 44. Only underline links to avoid confusing your reader into thinking something is clickable when it is not. 45. Use bolded words and italics sparingly, only to show importance or emphasis. 46. There is no need for repetition if you are writing simply and clearly. 47. When editing, read your content aloud. Does it make sense? Do you get caught on any words/phrases? 48. Before you publish, double and triple check all facts and links. 49. 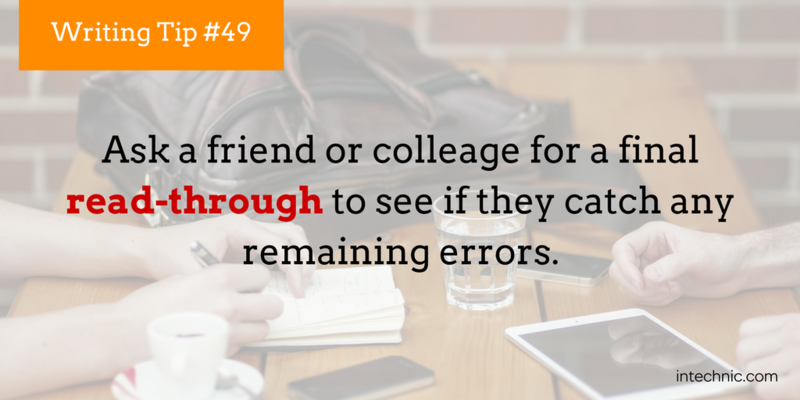 Ask a friend or colleage for a final read-through to see if they catch any remaining errors. 50. When editing, cut out all unnecessary words and only use plain language.